In 1946, Westmoor Mfg. Co. was founded on the principles of individuality, intelligence, and style. These values, set forth by two German immigrants, quickly intermingled with the designs, passion, and marketing put forth by the brothers and the employees they welcomed into the company like family. Today, Westmoor Mfg. Co. prides and builds itself upon these same family values that permeate throughout the company's four successful apparel brands. Ernest and Martin Hochster began their journey with a stroke of both luck and genius when they added pearl snaps to their popular “Gambler" shirts. This small detail quickly became the trademark of their first brand – Panhandle Slim. Panhandle Slim, now simply shortened to Panhandle, still honors its authentic cowboy inspiration through its small but impactful style details, western prints, and supreme fit. The brand features cool, comfortable shirts and outerwear for both men and women, embracing styles that transition easily from a day on the ranch to a night of line dancing. In the 21 st century, a new generation of Westmoor Mfg. Co. arrived, once again providing a fresh take on apparel while diversifying the company's brand portfolio. New labels Rock and Roll Denim and Rock and Roll Cowgirl were introduced, presenting western apparel and denim with a fashion flare that was undeniably enticing. The clothing features the details those living the Western lifestyle know and love while pushing the boundaries with new prints, stylized embroidery, and modern trends. Through these brands the company has continued to pursue its love of fashion, persistently and consistently designing and creating stylish, high-quality merchandise. Designed in Texas, with American values. Panhandle Western Wear offers men's and women's shirts and outerwear in a variety of comfortable fits, classic plaids, and eye-catching prints. Panhandle has been committed to quality and performance for over 70 years and proudly creates apparel that those living the western lifestyle can perform in and wear with pride. Notable legends and cowboys outfitted by Panhandle Western Wear include Tuf Cooper, world champion saddle tie down roper; Mary Walker, world champion barrel racer; Tuff Hedeman, world champion bull rider, and many more. World Champion belt buckle or not, Panhandle Western Wear's premium shirts and outwear makes every customer feel like a winner. 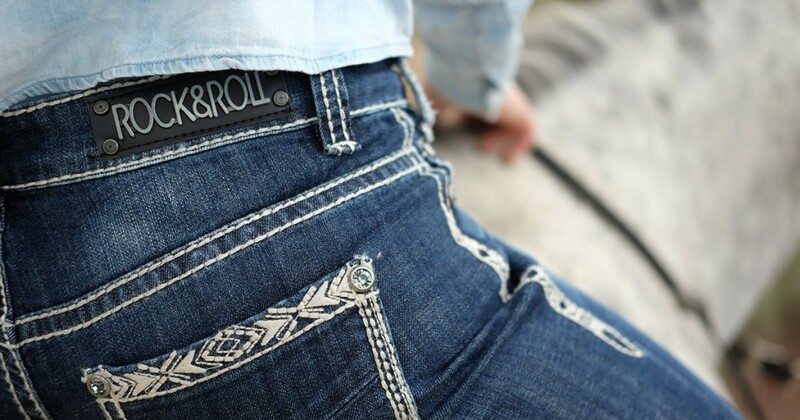 Rock and Roll Denim offers a variety of comfortable jeans and shirts with high quality, stylish details that make you stand out from the crowd. Rock and Roll Denim's commitment to designing and manufacturing apparel that blends style and comfort comes from a deep-rooted passion for the modern-day cowboy and the lifestyle he leads.